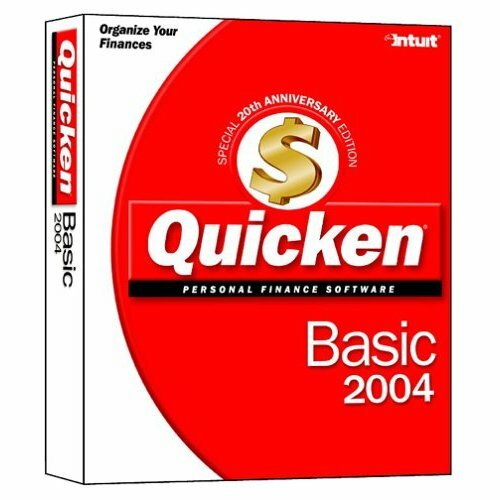 Quicken 2004 Basic near mint in the box with CD and all the papers. Ready for you to use and includes product key. The box is a little shop worn. It is in near mint or better condition other wise. This is the easiest way to start organizing your finances. Quicken works just like your checkbook, so it's easy to get started. Balance your checkbook quickly, pay bills easily, track spending, and more! Save time on data entry by downloading your credit card, banking and brokerage transactions from your financial institution - Quicken works with over 2,000 financial institutions. Come see why over 15 million people trust their money to Quicken. Get started with Quicken Guided Setup. It asks for your goals, suggests what to set up and track, and offers practical next steps to help you get there. Track your checking, savings and credit card transactions in one place. Reconcile your bank statements in minutes. Quicken does the math, so records are more accurate. Pay bills right from your computer. Write and print checks or pay bills online. Sort your expenses by date, amount, payee or category (like "charity" or "groceries"). Choose from dozens of reports and graphs that show where your money goes, how much you're saving and more. Get answers to questions like "How much did I spend on dining?" and "How does that compare to last month?" Create a personalized budget to help meet your goals. Monitor your cash flow to cover your spending. Keep an eye on your expenses and explore ways to save more money. Plus... Stop typing it all in! With the click of a button, Quicken instantly connects to your banks and credit cards and enters your transactions into your Quicken register. You'll have complete, up to date records without the effort. Quicken works with more than 2,000 financial institutions.